This is like a never-ending debate, so we have listed 5 things that will help you choose. Lovely isolated and empty beaches. If you are looking for solitude and the ocean for company then nothing beats the beaches in the South. Even the main beaches like Benaulim, Colva are relatively less crowded than their counterparts in the north. 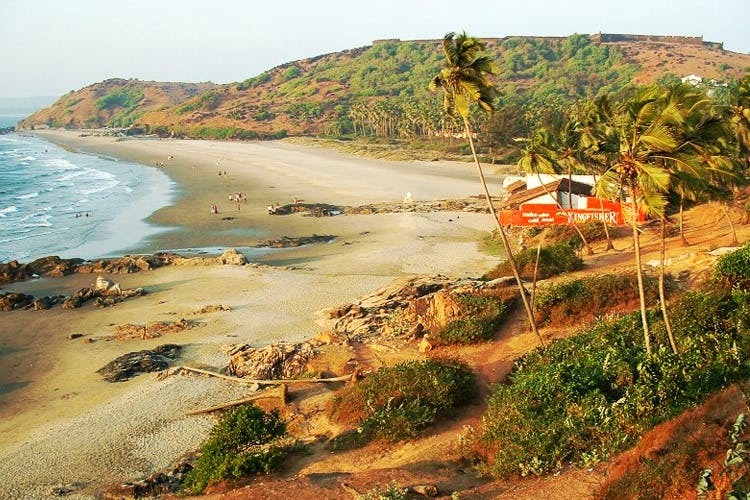 But to be really isolated, visit the Butterfly, Cola, Patnem or Colomb Bay beaches. South Goa also has some lovely heritage properties, that are now museums or homestays, even serving traditional food in some. Check out the Figueiredo, Casa Araujo Alvares or Salvador Costa Mansions in Loutolim, the Palacio do Deao in Quepem, or the Fernandes & Menezes Braganza Mansions in Chandor. If luxury is the name of the game, then you have multiple places to play it in the South. The most amazing 5 Star properties, with all as good as having private beaches. Get spoilt for choice with The Park Hyatt, Grand Hyatt, The Lalit, The Leela, The Taj Exotica. For those interested in old architecture or just getting blessed, there are very well known and revered temples & churches across South Goa. The famous Mangueshi, Mahalsa or Shanta Durga Temples in Ponda or the Mahadev Temple at Tambdi Surla. Visit the churches of Old Goa, The Chapel of Our Lady of the Mount, or of course the famous Basilica of Bom Jesus, the ruins of the church of St Augustine. For those that want to explore more of Goa beyond the beaches and clubs, need to go no further than the many wildlife sanctuaries. All relatively closer to travel to from the South, so pick from Cotigao, to Mhadei, Bhagwan Mahavir, Bondla etc. If gambling is your thing, then North Goa is definitely where you want to be. All of the casinos that have live gambling are on the ships moored in the waters of the Mandovi river, offering live entertainment, food, drinks. Check out the Deltin’s Royale, Jack or Caravela, or the Casino Pride etc. For those looking to buy food, eclectic jewellery or clothes and looking for bargain treasures then the North offers it all. Check out the permanent markets in Mapusa or Panjim or the shops along Candolim, Baga or Calangute roads. But during the season, there is the added bonus of shopping at the Flea Markets, Arpora on Saturday nights, Anjuna on Wednesdays etc. Goa’s various local festivals, that become a celebration for tourists to participate in. Be it Sangodd in Candolim, Bonderam on Divar, or Sao Jao in Siolim, not to mention the Carnival or the multiple Bike Weeks that happen there. Add to this the multi arts festival Serendipity. They say variety is the spice of life, and the North exemplifies this where food is concerned. And it caters to not just every taste, but also every pocket. From Goan to street food, to French, Isreali, Japanese, Mexican, Konkani, North Indian, Chinese, Burmese are just some of the cuisines we have explored in Goa so far.